Drive Control Unit Test System – Crest Test Systems Pvt. Ltd. This is an Endurance Test System, which is used for performing burn-in test on Bombardier Transportation’s DCU-II (Drive Control Unit) device. 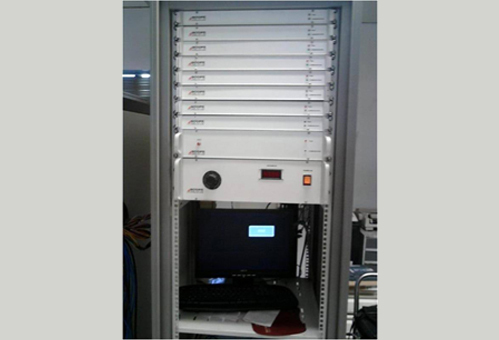 The system consists of card cages, switch units, test sequencer chassis, and a signal source. The signal source contains DC loads for testing digital outputs, temperature simulation resistors, speed simulation oscillators, and a 160 V DC power source. This system can test up to eight DCU-II units simultaneously.